Yesterday I wrote a piece expressing confusion about God’s idea of defeat. 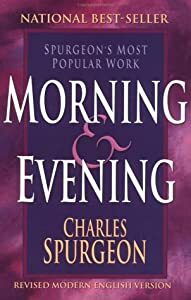 Then today I read this piece by Spurgeon. God never misses a trick! “But Zion said, ‘The Lord has abandoned me. Can a woman forget her nursing child? Will she have no compassion on the child from her womb? [Behold] I have engraved you on the palms of my hands” (Isaiah 49:14-16a God’s Word). No doubt a part of the wonder which is concentrated in the word “Behold,” is excited by the unbelieving lamentation of the preceding sentence. “Zion said, ‘The Lord has abandoned me. My Lord has forgotten me.’ ” How amazed the divine mind seems to be at this wicked unbelief! What can be more astounding than the unfounded doubts and fears of God’s favoured people? The Lord’s loving word of rebuke should make us blush; He cries, “How can I have forgotten you, when I have engraved you on the palms of my hands? How dare you doubt my constant remembrance, when the memorial is set upon my very flesh?” O unbelief, how strange a marvel you are! We do not know which most to wonder at, the faithfulness of God or the unbelief of His people. He keeps His promise a thousand times, and yet the next trial makes us doubt Him. He never fails; He is never a dry well; He is never as a setting sun, a passing meteor, or a melting vapour; and yet we are as continually vexed with anxieties, molested with suspicions, and disturbed with fears, as if our God were the mirage of the desert. “Behold,” is a word intended to excite admiration. Here, indeed, we have a theme for marvelling. Heaven and earth may well be astonished that rebels should obtain so great a nearness to the heart of infinite love as to be written upon the palms of His hands. “I have engraved you.” It does not say, “You name.” The name is there, but that is not all: “I have engraved you.” See the fulness of this! I have engraved your person, your image, your case, your circumstances, your sins, your temptations, your weaknesses, your needs, your works; I have engraved you, everything about you, all that concerns you; I have put you altogether there. Will you ever say again that your God has forsaken you when He has engraved you upon His own palms? I understand this to affirm my conclusion yesterday, that sometimes the only best answer is not just faith, but dwelling in the peace of the ever-present God Who is love. Yes, I agree it has the two sides. I just hope I get encouraged before I get convicted. And, yes, people would be upset if we forgot them or ignored them, yet so often people do this to Creator – your point is potent. Yes, Spurgeon’s metaphoric approach can sometimes be truly startling. This is an excellent follow-up to yesterday’s post! Thanks for sharing it. Yes, I agree, it goes beyond intellectual deep into the soul. And what a great observation, for us to get out our engraver and do some heart decoration with Christ’s love! Yes, Spurgeon takes this to places I never went, and I agree, Jesus is amazing! Wow! That is quite amazing to think about.